Spider-Man: Homecoming by Martin Ansin is a 24”x36” hand numbered Marvel screen print. This timed edition is available for purchase now through Sunday, July 9th, at 12PM CST at the Mondo online store for $55. 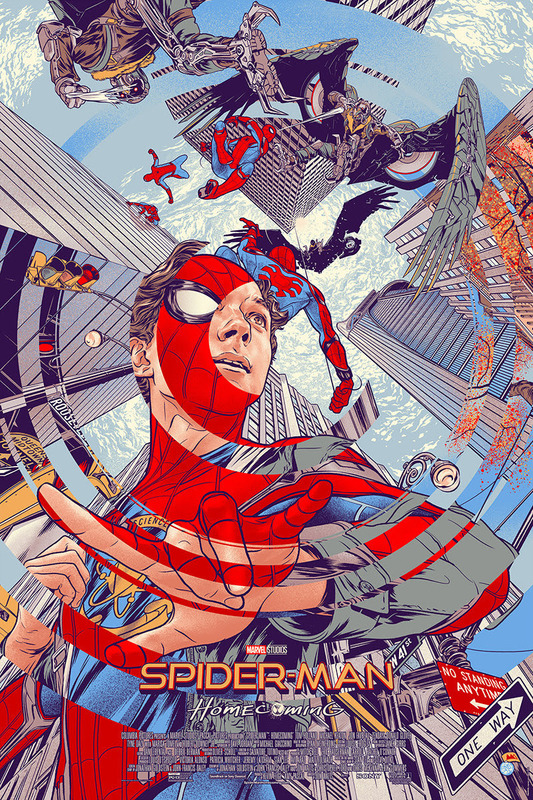 Marvel fans can also purchase a Spider-Man: Homecoming Bundle, which includes the print and 3 Spider-Man: Homecoming Enamel Pins by DKNG for $75.